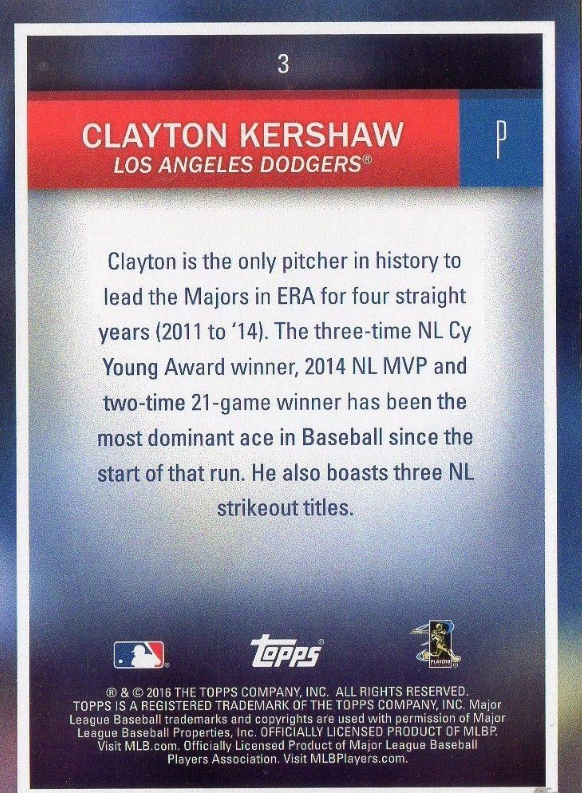 This past Saturday was National Baseball Card Day, sponsored by Topps, at local hobby shops throughout North America. 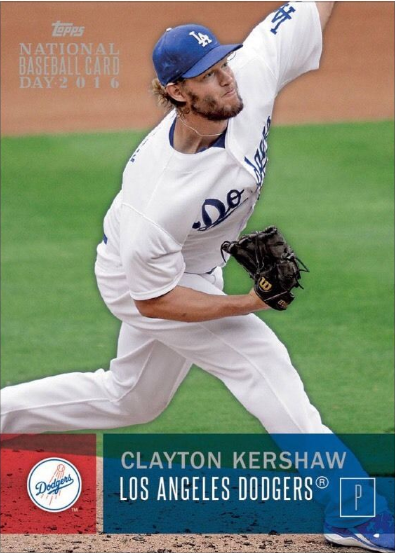 Fans flocked to their local stores and received a free six-card pack of limited edition cards. 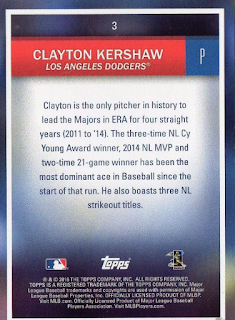 Furthermore, qualified purchases included a free Kris Bryant card to go with the set. 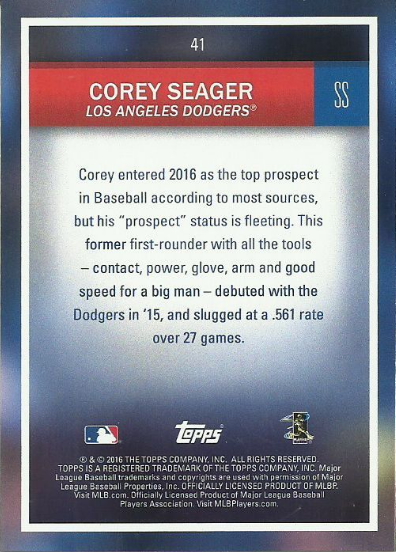 The base set includes 50 cards (including the Bryant card mentioned previously) and there are a handful of autographed cards inserted into packs. Unfortunately, is not available. There are, however, two Dodger players in the base set. Check them both out below. 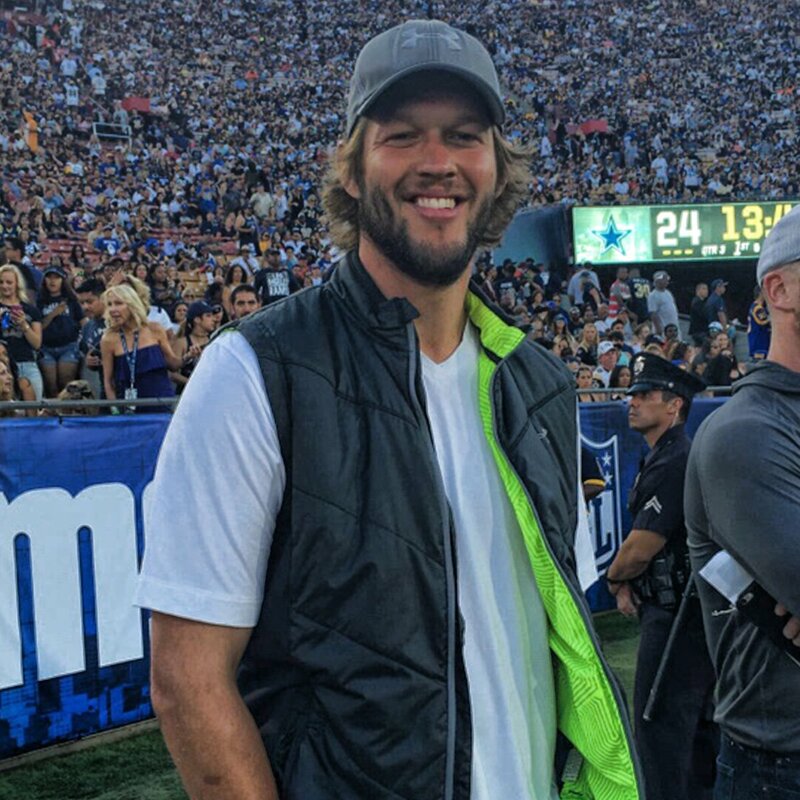 Check out who made it to the LA Coliseum for the Rams first preseason game in Los Angeles since coming back to California, via a pic tweeted by the NFL. 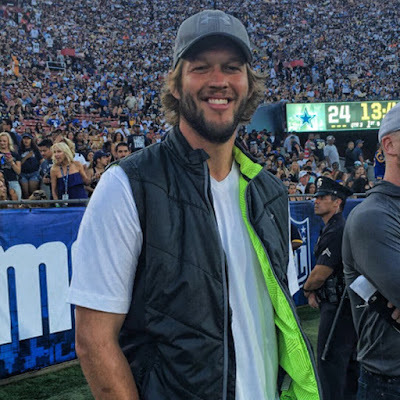 Clayton Kershaw, following an afternoon win at Dodger Stadium over the Pirates, 8-4, was spotted on the sidelines during the Rams victory over Dallas. 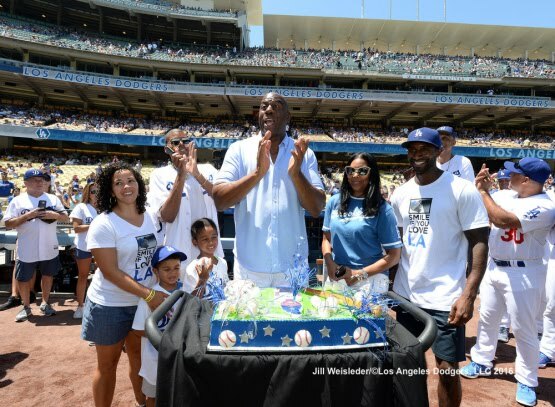 I wonder who he was rooting for. Being a Texas native it wouldn't be surprise to find out that he's a Cowboys fan. On the other hand, he did send the LA Rams players, coaches and personnel 200 bottles of Johnnie Walker Blue Label scotch whisky as a welcome gift to the Southland. With one out and the bases loaded, Herman hit a line drive off the right field wall and Hank DeBerry, the runner on third, scored easily. 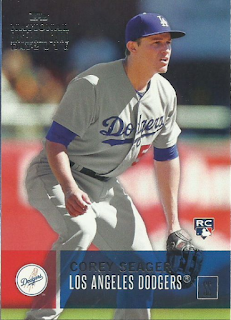 Dazzy Vance, the runner on second, rounded third, but stopped 30 feet past the bag and started back. Chick Fewster, the runner on first, was coming full steam around second and soon found himself at third with Vance. Herman, meanwhile, oblivious to what was transpiring at third base, tore around the bases until he also was at third base. Both Fewster and Herman were tagged out, ending the inning. "Everybody," Herman said years later about the play, "overlooks the fact that the run I knocked in on that play was the winning run."